Welcome home to Oak Court. 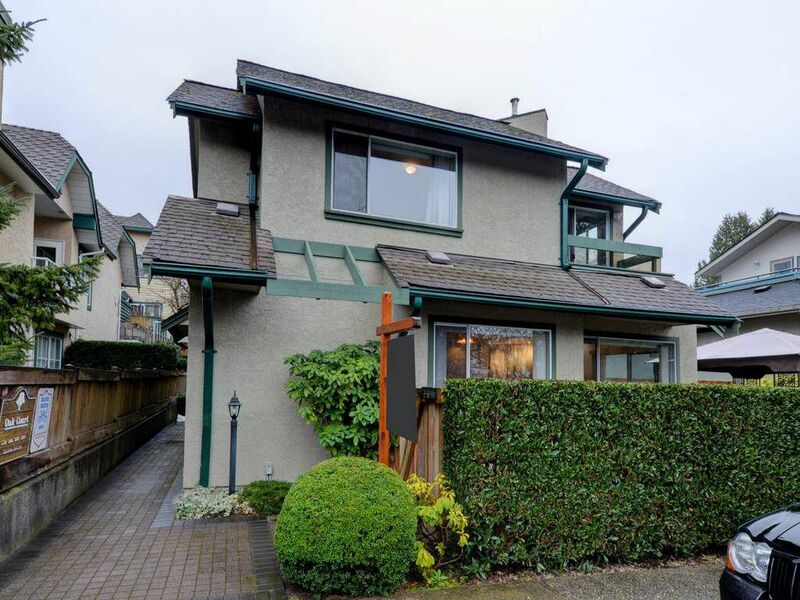 Rare offering in this self managed (4 unit) duplex style townhome. Opportunity abounds with over 600 sqft of unfinished basement awaiting your ideas. Spacious main floor with H/W floors, gas F/P and over 400 sqft west facing patio with pleasant outlook to the Tennis Courts. Unbeatable location just steps to all amenities central Lonsdale has to offer. Hurry on this exceptional rare find.